Robert Martin has one primary goal--to succeed in delivering premier customer service to clients buying and selling real estate in Evergreen, Conifer, Bailey, Morrison and surrounding communities. He strongly believes that this level of customer satisfaction is achieved through consistent, timely and accurate communication throughout your real estate transaction. This philosophy is evidenced by the fact that in more than 23 years serving real estate clients, over 75% of our business is generated from past clients--clients who have been pleased with their experience working with us and have chosen to work with us again or have referred us to friends or family. Robert grew up in Colby, Kansas with 7 siblings...the 7th of 8 children. He learned early on how to negotiate at the dinner table for 2nd helpings at meal time. He graduated from the "Harvard" of the Midwest...(or at least he likes to call it that)...Kansas University and is an avid supporter of the Kansas Jayhawks Basketball team. He and his family are also supporters of the Denver Broncos. Robert has been married for 25 years and has 3 children. The oldest attends the Colorado School of Mines and two other children attend Conifer High School...one a Senior and one a Freshman. His boys are both Eagle Scouts. He and his wife, a high school French Language Teacher, enjoy hiking in the National Forest, State Parks and Jefferson County Open Space parks near their home in Conifer. 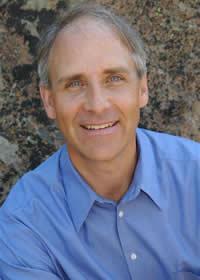 Robert has been a licensed real estate broker for 23 years in Conifer and the surrounding area. He managed the RE/MAX Alliance office in Evergreen and Conifer for nearly 6 years overseeing over 5000 transactions and managing 75 brokers. In 2016, Robert again was the top selling real estate broker at RE/MAX Alliance Conifer assisting Sellers and Buyers by closing $18,784,607 in real estate sales volume.